In depth practices of Tellington TTouch-for-You® for empowered self-care for yourself, family, friends and clients. Tellington TTouch for relieving pain, reducing fear, and enhancing well-being and the potential to thrive. Recognition of the Divine Spark within every cell in the body awakens the realization of the profound intelligence of our cells. Linda’s guided journeys leading participants into an ancient forest to deepen their connections with Nature. 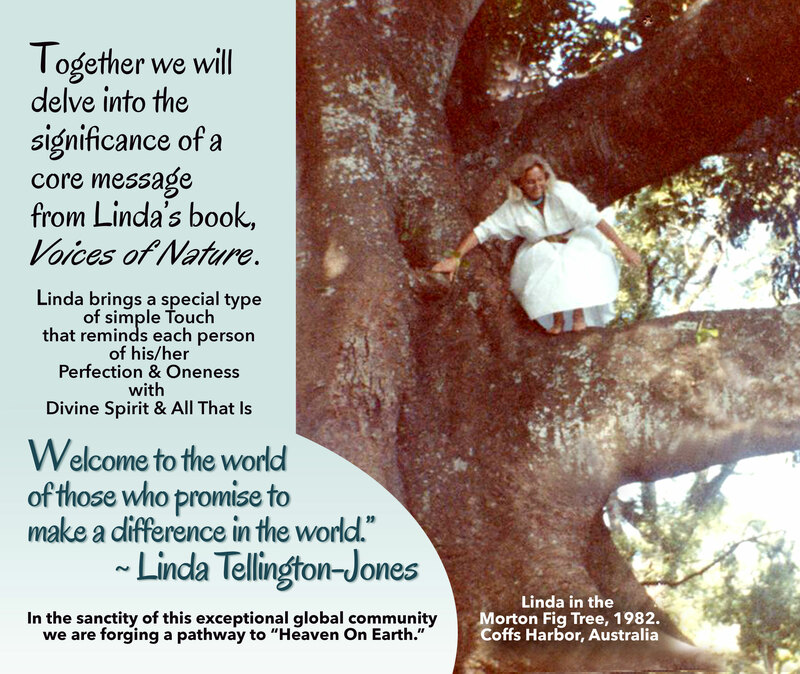 Opportunities for Recognizing Nature as ‘One with Us’ as a key to co-creating heaven on earth. Today my Patella (knee) got caught in the fence. I nearly collapsed, but immediately I did ear work and sat down. I continued with TTouches and talking with my cells. In the beginning pain was at 10 level but as soon as I began to talk to my cells the pain level dropped. This was really remarkable… It was at 7 and now it is at 5. I am feeling so grateful for my Beautiful Cells and thankful that we just had our class because then it was so natural to treat my body in this way. 30 min after the accident I was able to drive 1 hour to my client. What a Perfect day Thank you so much Linda for this amazing TTouch work. Activate and support your own Enhanced Well-Being in ways you can also share with others. Join us in ‘Co-Creating Heaven-on-Earth’! Secure Your Spot Right Now For This Journey & Awakening!! Note: If you’re a graduate of the Tellington TTouch-for-You® ONLINE IMMERSION program, email Sandy@ttouchforyouonline.com for your special graduate-only exclusive discount to join the in-depth 6 month Co-Creating Heaven-on-Earth program now. Each upcoming class includes live participation via video conference. Discover specific skills and abilities to awaken your divine potential. Classes are once a month on Sundays. Attend Upcoming Live classes and View previous class recordings. March 3; April 14; May5; June 2; July 7; August 11; Join Anytime. After each training, the class recording in video format will be available for you to stream online or download in a high quality format. You can watch classes anytime, anywhere, on any of your devices, at your convenience. You will never miss a class this way, and will have these recording gems for ongoing reference and learning. After each training, the class recording in audio format will be available for you to listen to online or download in a high quality MP3 format. You can listen to classes anytime, anywhere, on any of your devices, at your convenience. You will never miss a class this way, and will have these recording gems for ongoing reference and learning. Thought Provoking Questions for cultivating Heaven-On-Earth in your life; Guidance for Self-Care for your body, mind and spirit; Recordings of Linda’s “Voices Of Nature,” her delightful, insightful, and uplifting collection of poems; Concepts about cellular wisdom and the power of our thoughts from the books of Joan King, Gregg Braden, Bruce Lipton and other visionaries; Focus on synchronistic events that have shaped your life; Guidance for writing and art journaling to enhance focus, clarity and whole brain balance. During, and in between class trainings, dive into exercises to practice new tools. These accelerate your learning, self-care and help you integrate each month’s key elements and lessons. Share your TTouch-for-You® discoveries and experiences in this global community. Build friendships while gathering support, validation, and sharing insights. The Tellington TTouch-for-You® IMMERSION self-paced study is included as a BONUS program. 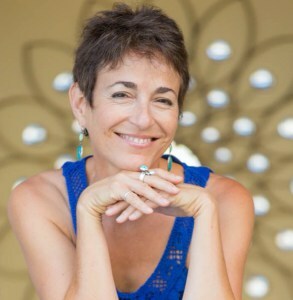 This gives you a foundation in the TTouch-for-You® techniques in with over 18 hours of online teachings with Linda Tellington-Jones; Enlightening guided journeys into Nature; Practices communicating with your cells; TTouch philosophy; Powerful exercises for Self-Care. Create the World and Humanity You Crave through the Gateway of Tellington TTouch-for-You® by connecting with the Divine Spark Within. Do the self-study IMMERSION program before you begin ‘Co-Creating Heaven-on-Earth,’ or do them simultaneously. Credit is given for those of you who wish to gain TTouch-for-You® accreditation professionally. 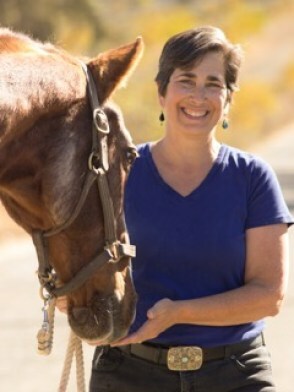 Opportunity to gain credit towards TTouch-for-You® Certification for Tellington TTouch Companion Animal and Horse Practitioners; and Professional Health Care Providers. We LOVE to give gifts to our participants! In the 3 months of our recent program, we added over a dozen surprise bonuses! Your first is IMMERSION Self-Study. Expect more bonuses throughout ‘Co-Creating Heaven-on-Earth’! Being part of the Immersion Self-Study Program gave my self, and my cells a unique opportunity to be nurtured and nourished in the comfort of my home. Different from the many clinics that I have attended, the Immersion Self-Study Classes offered me the luxury of pausing recordings as often as I liked to listen to details over and over. I could sit and allow my cells to absorb in a more heart centered way instead of brain centered. I didn’t even feel the need to take notes. For me this is a big deal. Being part of this Immersion group has opened my mind and heart to infinite possibilities. After participating in the inaugural TTouch 90-Day Immersion Course, conducted by Linda Tellington-Jones, Sandy Rakowitz and Elinor Silverstein, I’m ready for more! Coming out of the first Course with a sense of belonging to a group of fascinating, forward thinking and like-minded people gathered together from around the world feels empowering. The easy to access ZOOM website was a safe environment where I could learn TTouch techniques, refine my skills, and benefit from shared stories as a way to enrich my own use of TTouch. Plus, I gained all of this while in the comfort of my own home. For me, the after-effects of the first Immersion Course brought forth a profound awareness for the power of TTouch, a deeper sense for peace and kindness towards others, and a drive towards furthering this journey. For those reasons I’ve signed up for the 6-Month ‘Co-Creating Heaven-on-Earth’ program and I highly recommend it for anyone who is ready for a wonderful personal learning adventure. Please note that Daylight Savings time changes March 19 in the U.S. Please make sure you know if this effects you in your timezone or not for classes in April, May, June, July & August. RECORDINGS: You will receive both video and audio recordings for each class. Attend Upcoming Live classes and View previous class recordings. I Now Have My Life Back! I have always seen amazing results using TTouch with animals, but you have expanded my knowledge, given me the courage to experiment and introduced me to so many additional ways of doing the TTouches for myself in these classes with your insights, recommendations and all the sharing of everyone’s experiences. This walking problem is really improving and lasting. The prescription drugs and physical therapy don’t produce anything near these results. I now have my life back and I expect to keep improving! I AM IMPROVING!!!! I cannot express how thankful I am to you, Linda, Elinor and Sandy for the help and hope that you have given me. 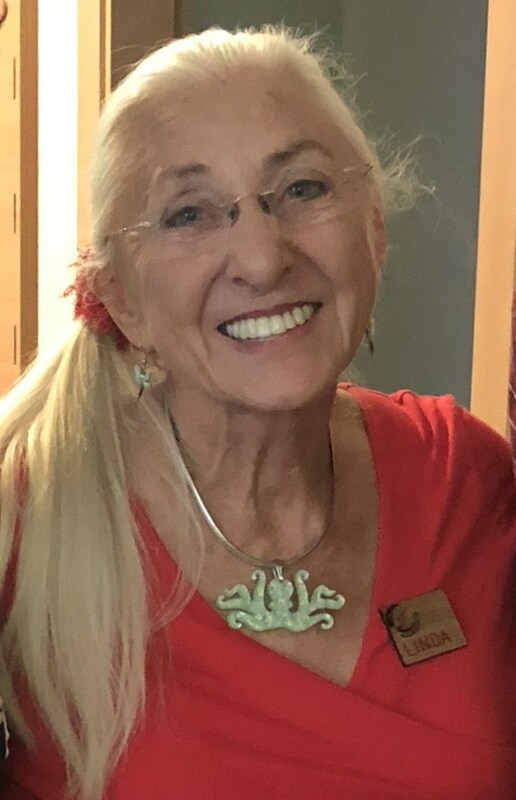 As Linda scales back her international travel offering in person trainings with humans, horses and companion animals, this is currently the ONLY opportunity to participate in a LIVE ONLINE and Interactive 6-month training with Linda. Through this powerful online format, you’ll save time and money on the workshop costs of travel, accommodations and meals, and, you’ll be able to benefit from Linda’s incredible teachings and exercises from the comfort of your home for a fraction of the cost of in person workshops! Spiritual Seekers, Meditators and Life Long Learners, and anyone who desires to “Be The Change You Wish To See in the World” and uplift the reality you create day-to-day. I almost didn’t take this online class because I was intimidated by the technology. What a mistake it would have been if I hadn’t allowed myself to be part of this amazing knowledge and work. Thank you. Sending love and heart hugs. Benefit from Learning From Wherever You Are Around the World. Each class includes 2 hours of dynamic class time with Linda, Sandy and Elinor. You receive 24/7 Lifetime access to all recordings from this program. 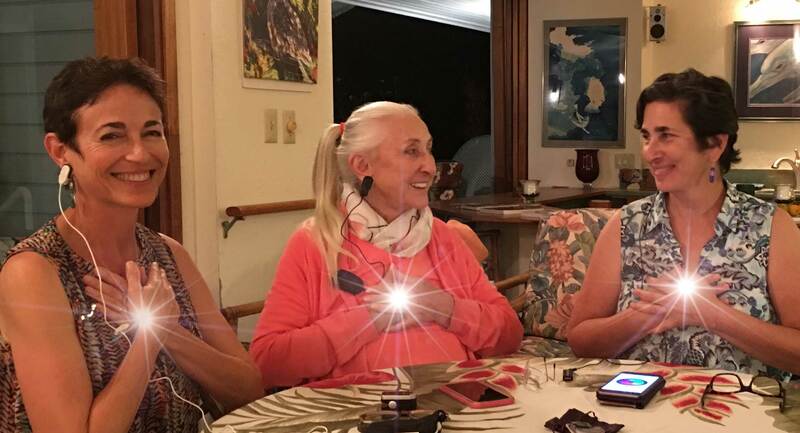 If you’re serious about learning, deepening and inspiring your Tellington TTouch practice, your spiritual life and healing potential, then you owe it to yourself, your loved ones, and our world to take this potent, unique training with Linda, Sandy & Elinor. This program is for newcomers, novice, as well as the experienced TTouch Companion Animal, Horse or Human Practitioner or Instructor. We cover the material in the Healthcare book, plus we go in depth with elements at the heart of TTouch, the merging of science and spirituality in very practical ways. You are led through a tremendous amount of specific content in ways often not taught or covered in most TTouch trainings in person! YES, you will learn new material! We cover techniques specifically for self-care; Dive in depth into techniques throughout the 6 classes; Explore the Key 9 Elements of TTouch-for-You; and, share the HEART of TTouch in ways often not taught in other trainings. I’m a Tellington TTouch Practitioner and I have a lot of TTouch Training, will I learn anything new? YES, you will learn new material! We will dive in depth exploring techniques for self-care to awaken our knowing of our connection to Divine Spirit. Explore the Key 9 Elements of TTouch-for-You seen with new eyes and, share the HEART of TTouch in ways often not taught in other trainings. As a Tellington TTouch Practitioner for Companion Animals or Horses, can I use Tellington TTouch-for-You®with my human clients? You may share and teach Tellington TTouch-for-You®for Self-Help. Only those who are licensed Healthcare Professionals can legally use TTouch-for-You as a hands-on therapeutic modality with humans. How can I offer Tellington TTouch-for-You safely with people in senior centers, in support groups, with my family, friends, where I volunteer, at work, or in various settings? I am not a Tellington TTouch Practitioner or a licensed Healthcare Provider with people. You may share and teach Tellington TTouch-for-You®for Self-Help. Only those who are licensed Healthcare Professionals may use TTouch-for-You as a hands-on therapeutic modality with humans. As a licensed Healthcare Professional can I offer Tellington TTouch-for-You with my clients as a therapeutic modality? Yes, for those who are licensed Healthcare Professionals trained to work with people, you may integrate Tellington TTouch-for-You®within the laws of their state of residence for their profession. Can I use Tellington TTouch-for-You® in my current profession? Does this program count towards receiving credit for Advanced Training for those who are already Tellington TTouch Companion Animal, Horse, or Human Practitioners? Yes! You can potentially receive up to 30 hours of credit for completed course work towards advanced training with proof of completion. This can include 18 hours of credit for completed IMMERSION self-study course work, 12 hours of credit for completion of the ‘Co-Creating Heaven-on-Earth’ course work. Can I receive a Certificate for Completion of the TTouch-for-You®IMMERSION self-study program and for the "Co-Creating Heaven-on-Earth"? Can I become a certified Tellington TTouch-for-You®Practitioner for Self-Help with Humans? Yes. We are developing the requirements for becoming a certified TTouch-for-You®Practitioner for Self-Help with Humans. You will need Proof of Completion and comprehension with practicum experience with written case studies. There will be additional testing requirements. Using TTouches before taking the IMMERSION program, there were always very positive results, but now I feel that I have a hot line to my client’s hearts! This program is empowering and thrilling, it is exciting to be part of this group! It is as if I’m a totally new student to the expansiveness of TTouch. I began feeling frightened at being up so high in the stadium, not realizing I had a fear of heights. I just wanted to leave. I began doing Heart Hugs and kept doing them for a few minutes and remembered to breathe. After a few minutes, I began to calm down, and the fear dissipated. When the concert started I was able to enjoy the concert. Content Inspired Confidence in my Abilities! COPYRIGHT ©Linda Tellington-Jones and Tellington TTouch Training. ALL RIGHTS RESERVED. Legal Disclaimer: Every effort has been made to accurately represent our program and its potential. The testimonials and examples used are to illustrate potential results, and are not intended to represent or guarantee that everyone will achieve the same or similar results. Each individual’s success depends on his or her background, dedication, desire, and motivation.